Local authorities across the country will use £6 million funding to increase access to alcohol treatments, with a focus on helping parents and rough sleepers. A £6 million capital fund has today, Friday 22 March 2019, been awarded to 23 projects across the country enabling local authorities to invest in improving services and facilities for people with alcohol problems. This is the fourth time Public Health England (PHE) has led a programme of supporting alcohol and drug treatment and recovery through capital funding. 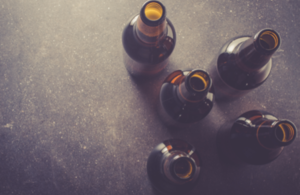 Alcohol misuse costs society £21 billion each year, and effective alcohol treatment can help to reduce the burden placed on health and social care services. By providing capital funding, local authorities can prioritise alcohol treatment, invest in equipment and facilities and ensure that treatment expertise is enhanced to better meet the needs of people with alcohol problems. The call for bids this year particularly focused on improving access to alcohol treatment and meeting the needs of parents, or people experiencing rough sleeping, who have alcohol problems. Several winning bids focused on improving the quality and availability of services for people sleeping rough. Lancashire will provide dedicated treatment spaces in Preston, Lancaster and East Lancashire and Oxfordshire will develop a dedicated alcohol centre within the ‘Oxford Homeless Hub’ as well as a clinical space in the Salvation Army Homelessness Hub to help boost more successful interventions. Bids from Portsmouth, Derby, Nottingham and South Gloucestershire will provide additional beds for those sleeping rough in need of alcohol treatment to improve the rate of successful recovery. PHE’s treatment figures show that there are 34,000 parents in treatment for alcohol problems, 16,000 of whom live with 28,000 children. Current estimates predict that 120,000 parents with alcohol problems have 200,000 children living with them. Winning bids focussing on parents came from Brent, Croydon, Oxfordshire, Newcastle, and Wolverhampton. In Newcastle, an existing family centre will be re-developed and co-located with a Barnardo’s family support team to improve integrated care. Whereas in Croydon, the funding will be used to build an alcohol assessment centre at a new Family Centre to target vulnerable families - and in Wolverhampton, the existing alcohol services building will be redeveloped into a multiple-agency families hub that can act as a ‘home from home’ for vulnerable families. In addition to projects focusing on those most vulnerable in our society, some winning bids had a wider focus on improving the availability and removing the stigma around alcohol treatment services to increase the number of people entering and succeeding in alcohol treatment. Birmingham will establish new accessible alcohol support services in the heart of communities and Stoke-on-Trent will introduce new points of access, such as breakfast clubs, in community venues and hospitals with the aim of 1000 people getting into treatment by 2021. Seven winning projects across the country will be using the grant to purchase FibroScan machines to allow for rapid identification of those with existing liver disease. and provide additional motivation for patients to engage with treatment services. We are determined to protect the most vulnerable in society from harm that can be caused by alcohol addiction and abuse. That’s why I’m pleased to be awarding these government funded grants today, which will fund innovative, locally led solutions to alcohol addiction up and down the country. This work will make a real difference to those most at risk - from people sleeping rough on our streets, to the thousands of children affected by their parents’ alcohol problems. Alcohol misuse causes significant harm to society and can tear people’s lives apart. The outstanding range of exciting and innovative local projects that we are funding will make a real difference to communities, across the country, with an important focus on helping those that are most vulnerable in our society. We want to encourage more people, particularly parents and people sleeping rough, to access treatment by making facilities more suitable for their needs and removing the stigma around receiving treatment. For further information contact Georgia Featherston at PHE press office georgia.featherston@phe.gov.uk. This fund has been running since 2013 to 2014 and has allowed PHE to support 158 projects (at an average of £200 to 250k per project) supporting the recovery of people dependent on alcohol and drugs.